Many professionals in the automation space that have a CNC Machine (such as FANUC CNC parts found here) in their shop deal with pesky issues from time-to-time. One common issue for those who use CNC machines would be CRT monitors that begin showing their age. Several of our customers have been in this situation, feel as though they’re left with two choices: repair their CRT monitors, or replace them. 1.) it’s often time-consuming to pinpoint a CRT Replacement part. 2.) It is not cost-effective to have the CRT monitor repaired. Our alternative to the two options: an LCD retrofit (found in FANUC Displays and Controls) . Another outdated piece we have encountered in the machine automation space? a floppy disk. Floppy disks are still in use today for some, often causing issues. By implementing an updated, customized USB flash drive, several issues can likely be avoided. What is now a slow and obsolete tool, the floppy disk is still in use with some of our clients and causing problems. Our recommendation is a new custom-built USB flash drive solution. Upgrading to a USB drive is usually a straightforward process. No changes or system configurations are necessary during this process, and yes, it will work on CNC machines and other devices that still use the floppy drive. Nobody likes the costs of downtime including those in the machine automation space. 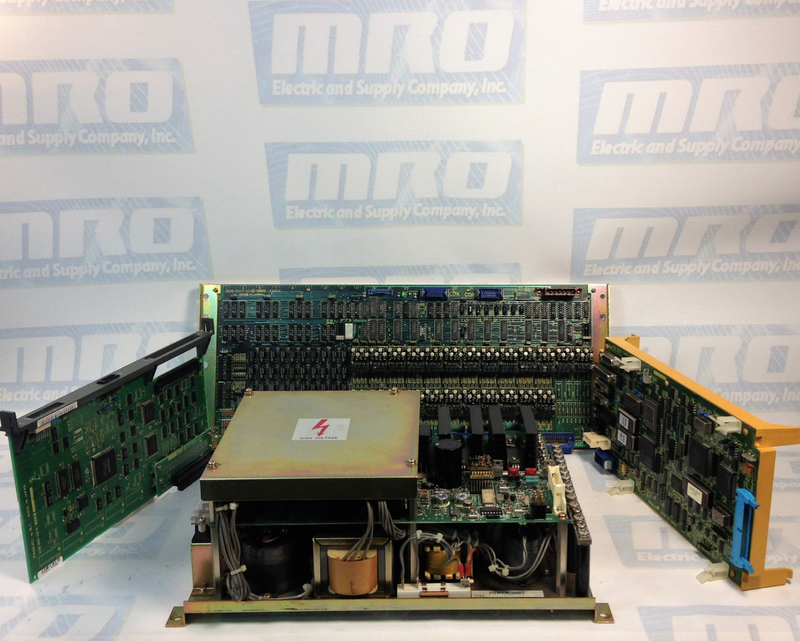 MRO Electric and Supply has new and refurbished FANUC CNC products available, including LCD Retrofit products. We also offer repair pricing. For more information, please call 800-691-8511 or email sales@mroelectric.com. The most recent update from Siemens’ NX software coalesces the next generation of tools concerning additive manufacturing, CNC (computer numeric control) machining, robotics, and, last but not least, quality inspection to enable the digitalization of part manufacturing within a single, cohesive end-to-end system. Up-to-date automation competence for computer-aided manufacturing (CAM), including robotic programming, adaptive milling, and tooling design, provide innovative, industry-specific technology to help deliver high-quality products to the market in less time. The new NX Machining Line Planner tool, combined with integrated NX CAM software for feature-based machining, provides new capabilities for industries with high-volume production of complicated parts, such as automotive and industrial machinery. The latest version of NX continues to support end-to-end solutions for additive manufacturing, helping manufacturers realize the goal of using 3D printing for industrial production. Part manufacturers proceed to face increased pressures from modified market expectations, with customers who require optimized accuracy and faster response times. In order to remain competitive, many part manufacturers look to digitalization, which connects all of the steps of part manufacturing planning and production with a single source of information, or a digital thread. Implementing a digital strategy can enable part manufacturers of all sizes to take greater advantage of automation, adopt 3D printing for production, and ultimately expand into new market opportunities and reduce time to delivery. State-of-the-art automation enhancements within the latest version of NX provide powerful ways to expand production efficiency and decrease cost. Robotic programming technology provides the ability to automate complete manufacturing cells, including programming robots to perform machining. Adaptive milling and tube milling are new capabilities that provide innovative ways to automate CNC machines and accelerate cutting of complex parts. Adaptive milling is a high-speed cutting method that leverages automation within NX to decrease machining cycles by up to 60 percent while extending tool life. Tube milling streamlines the 5-axis programming process by eliminating preparation and minimizing inputs, utilizing advanced capabilities to create ideal tool paths and minimize errors in machining on the shop floor. Mold and die manufacturers can now accordingly dictate tool production costs through integration between NX and the Teamcenter portfolio. Engineers can now use NX to automatically recognize features and parameters on the desired part, and provide pertinent information to Teamcenter, which can precisely calculate the tool cost. The newly integrated capabilities of Siemens’ product lifecycle management (PLM) software solutions can enable tool manufacturers to win more orders and increase profit margins through automated costing and accurate quotations. The newest version also inflates the new additive manufacturing solution in NX by including the new module, NX AM for HP Multi Jet Fusion, which is certified by HP and powered by Materialise, to prepare print jobs for HP Jet Fusion 4200 3D printers. The NX software module will allow customers to develop and manage parts in a single software environment for Multi Jet Fusion printing solutions, avoid costly and time-consuming data conversions and third-party tools, and improve their overall design-to-finished-part workflow efficiency. Additionally, Siemens develops applications for additive manufacturing process simulation in Simcenter 3D, a crucial tool to help manufacturers industrialize additive manufacturing by printing components the first-time-right. These simulation applications are an integral part of the Siemens’ additive manufacturing solution. Increasing productivity is one goal for most of those in the automation space (check out boosting factory automation productivity here). 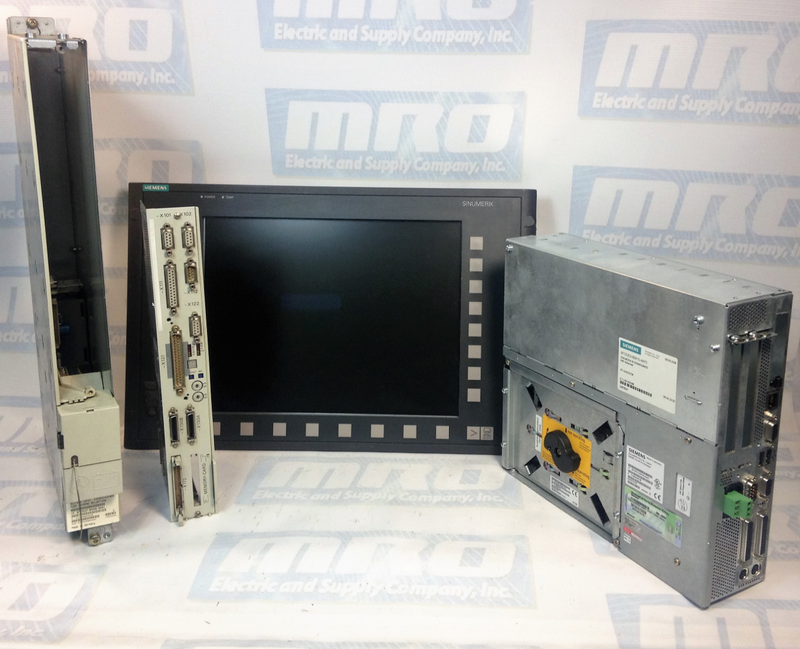 MRO Electric and Supply has new and refurbished Siemens products available. We also offer repair pricing. For more information, please call 800-691-8511 or email sales@mroelectric.com. As many machine automation professionals know, deciding on which PLC to work with can be one of the most difficult decisions you have to make when organizing your control system. There is no one size fits all equation, so are here are some guidelines I use. Brand – Many of the major players such as have small, medium, and large-scale PLCs. Always consider when brands the end user already is using. Things will always go smoother if the maintenance personnel is already accustomed to the brand of PLC you choose. Also, try to pick a brand that will have stellar local support for the end user if you are not in the area. 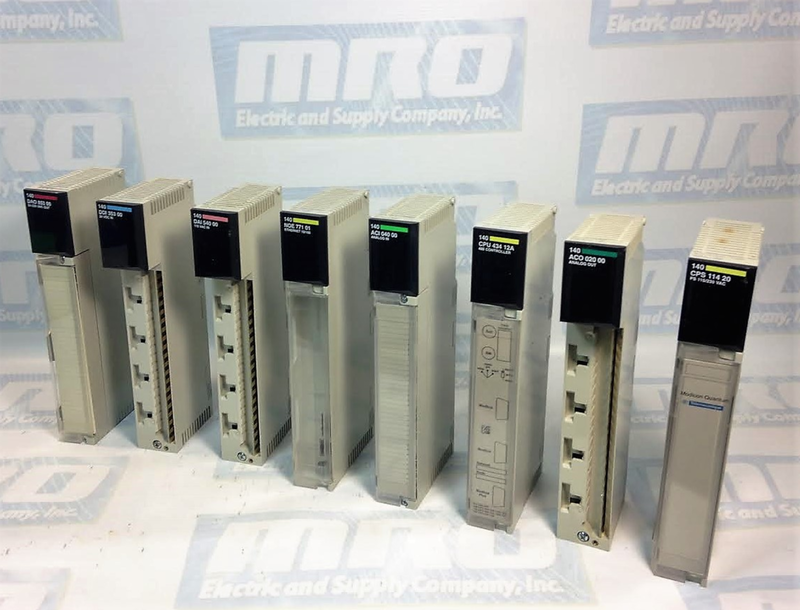 Sizing – Sizing a PLC is imperative to the success of your project. If you go too small, you may max out your I/O (such as this Modicon Quantum I/O)on changes and additions. On the other hand, if you go too large, you may blow go over your budget. Leaving room for expansion is ideal, but, in the long run, going over your budget is not practical. Communications. regularly have a port available on the PLC to communicate with it from your laptop without disconnecting other devices. With modern PLCs with several communications methods, there is no reason for this to happen. Will you need remote I/O? This can reduce installation time and troubleshooting in the long term. Will your system utilize an HMI? How will you communicate with it? Having a way to remotely monitor your PLC is becoming standard practice. 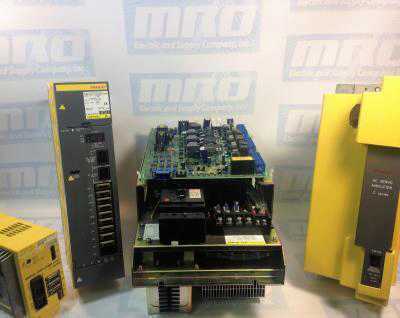 MRO Electric and Supply has new and refurbished Omron and Siemens products available. We also offer repair pricing. For more information, please call 800-691-8511 or email sales@mroelectric.com. The lack of multivendor portability of applications is an enormous issue for those in the automation industry. The operators behind the automation architecture initiatives understand that without open ecosystems, providing portable applications between vendor platforms, revolution is stifled. Nontraditional suppliers are already offering products that are programmed with IoT software. The rapid rise of the Internet of Things concepts and technologies, including high power/low-cost processing and communications technologies, is enabling new intelligent nodes, which operate at the network edge to improve manufacturing performance and efficiency. This will be a growing trend. The quick rise of the Internet of Things ideas and technologies is empowering state-of-the-art knowledgable nodes, which operate at the network edge to polish manufacturing performance and efficiency. Smart sensors and control devices have been proven to produce aid by yielding increasing amounts of contextual data. Because of the most recent IO-Link addition gaining quick adoption, the cost of implementing smart sensors has decreased immensely. Along with these are Ethernet sensors. Ethernet sensors communicate using industrial and related formalities, which contribute data for automation and communicate directly with business systems. Industrial applications have also begun to use Bluetooth sensors. As many of us know, the number of collaborative robots dramatically increased in 2016. These newly-established light and inexpensive robots are engineered to operate cooperatively with people. They are also intended to incorporate vision systems along with state-of-the-art software to provide self-awareness. These robots have average costs of under $40,000.00, making them suitable for an enlarged number of tasks. These robots are evolving similarly to how personal computers have- providing a product with less power than larger offerings, but adds value for a larger number of users. Talk of the Internet of Things (IoT) theories, and the technology influencing the industry is starting to feel very real. The progressing maturation of technology and merchandise is stimulating the Internet of Things with fastened innovations including higher-powered processors, analytic software, sensors, cloud computing, visionary systems, and more. All and all, this will likely result in more economical and higher performing industrial automation systems. As many professionals in the industrial automation space know, 2-3 layer automation systems are beginning to occur, resulting in increased performance and less software maintenance prices. This trend is becoming more and more common, with computing being driven down into more handy controllers, intuitive instruments, and driven up to plant level computers and cloud-hosted applications. 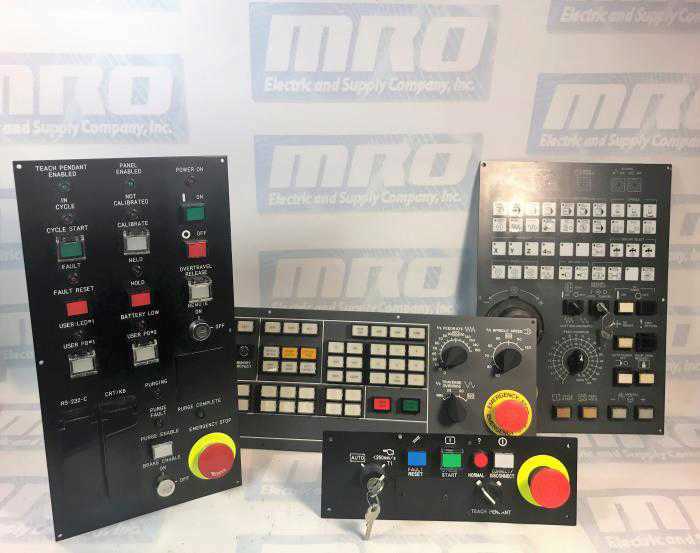 MRO Electric and Supply has new and refurbished products available. We also offer repair pricing. For more information, please call 800-691-8511 or email sales@mroelectric.com. 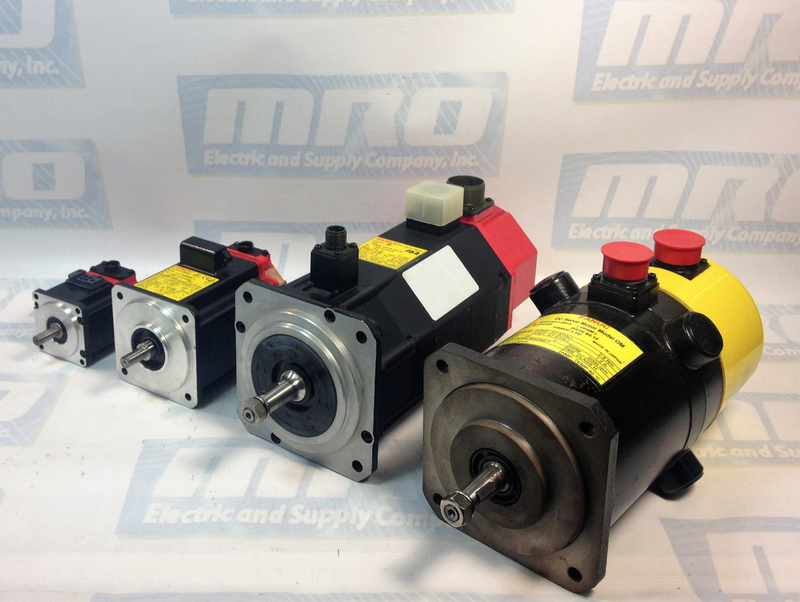 MRO Electric and Supply has new and refurbished FANUC motors and Servo drives available. We also offer repair pricing. For more information, please call 800-691-8511 or email sales@mroelectric.com. Adjustable speed drives (ASDs), or variable-speed drives (VSDs) is used to describe equipment that assists to control the speed of machinery. Usually, they are using in mechanical equipment powered by motors. The drives offer truthful electrical motor control enabling motor speeds to be increased, decreased and maintained. Due to energy consumption, centrifugal fan and pump loads operated with versatile speed drives are reduced. The horsepower needed to operate the fan is cut by a much larger factor if the speed of the fan is cut in thirds or in half. 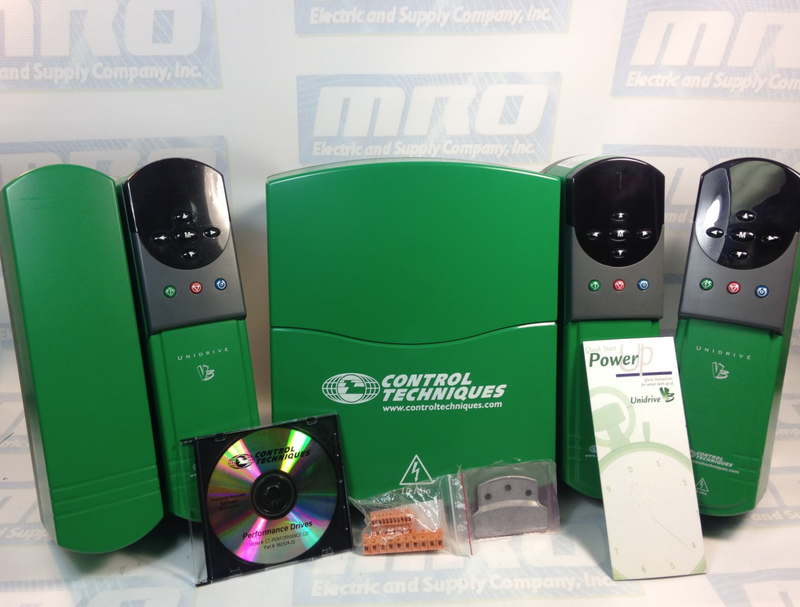 As everyone knows, energy savings are what machine automation professionals yearn for. By using an adjustable speed drive, machinery can be protected from any damage that may occur. The specific amount of torque applied by the motor to a load is able to be fully controlled. Usually when an ac motor is started “across the line,” it takes about as seven-to-eight times to start the motor and load. By utilizing an adjustable speed drive, the considerably reduced starting current expands the life of an ac motor. The benefits are less wear & tear on the motor which translates to extend motor life and less motor rewinds. Governed stopping backs up diminish product loss because of machine-driven wear and tear attributed to shocks to the process. The requirement for a reversing started is mitigated in regards to utilizing an adjustable speed drive. The reason being is the output phases to the motor can be morphed electronically. Removing the reversing starter terminates its upkeep expense while also minimizing panel space. To begin an AC motor across the line, one is going to need much more power compared to beginning an adjustable speed drive. This is only the case at the start because the power to run the motor at load would be the same regardless of its variable speed. Process automation and implementing changes in a process is allowed due to deploying an adjustable speed drive. This also enables beginning at a shortened speed and allows remote acclimation of speed by process controllers. By using an adjustable speed drive, the likelihood of needing costly mechanical drive components like gearboxes can be mitigated. The AC drive is able to transport the high and/or low speed required by the load with a consistent speed between the motor and load because it’s able to function with an infinite variable speed.